Representatives of Go Solar Seattle Northwest, a community-based solar energy campaign, presented a big check to our major gifts associate Ann Bodden this week. 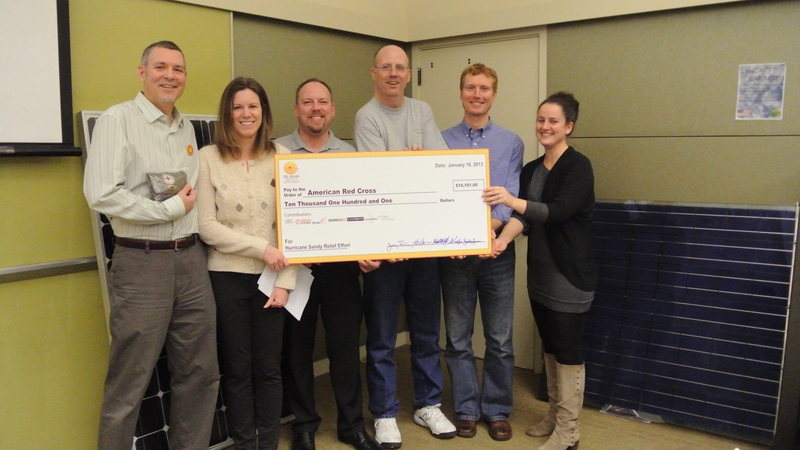 In the month of December, the organization raised $10,101 for Superstorm Sandy relief. Major solar contractors in the area helped raise the funds through solar-related sales. We’re very thankful for their contribution and loved working with the organization! Way to go.